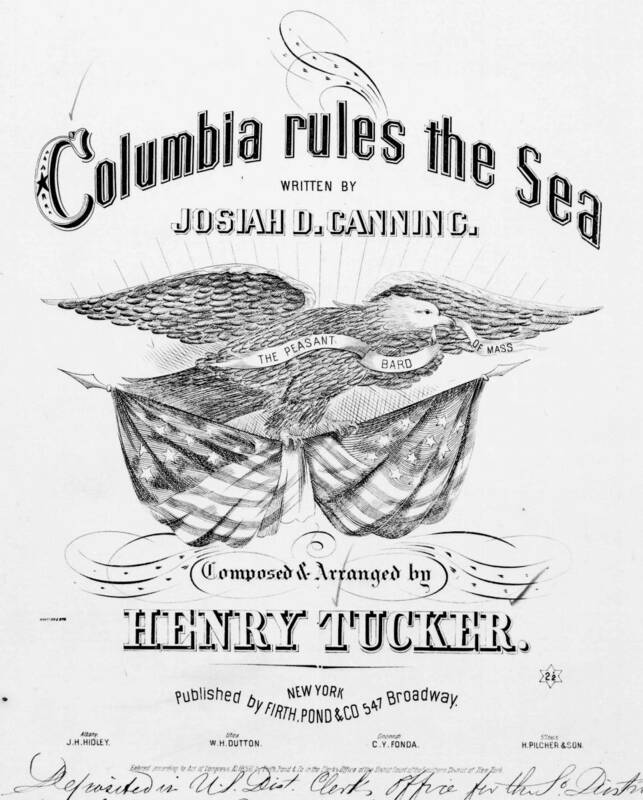 An emblem of an eagle supported by two American flags, illustrates the sheet music cover for a song by Josiah D. Canning. The eagle's wings are spread and its mouth holds a streamer with the composer's sobriquet "The Peasant Bard of Mass." The Library's copy was deposited for copyright on August 9, 1858.